To view the original post and video, click here. PEMBROKE PARK, FLA. (WSVN) – As the partial government shutdown drags on, food stamp recipients could be affected in a matter of weeks. 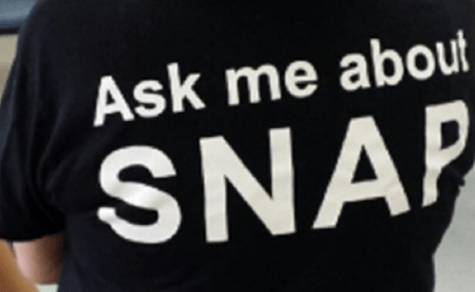 About 38 million Americans depend on the Supplemental Nutrition Assistance Program (SNAP) to help buy their groceries. More than one million reside in South Florida. The last of the program’s funds were already issued. If the government doesn’t reopen soon, nearly 40 million people will not have enough money to eat. Lacking funds for food, many families will turn to food pantries like Feeding South Florida in Pembroke Park. Vatske said Feeding South Florida is already hard at work feeding furloughed federal employees who aren’t getting paid. “We are potentially looking at an $84 million worth of budget deficit that families will otherwise have to purchase food that the food bank is looking to have make up,” she told 7News. Over in Hollywood, Eduardo Pineda helps run Hispanic Unity. They hosted a clinic Thursday that taught people who were applying for SNAP how to plan healthy meals. “SNAP is critical. It’s the most important hunger-reduction program in the United States,” Pineda said. The applicants were nervous because they were applying for a program that’s out of money and won’t see funds until the government reopens. Migalda Bordonada already uses SNAP to feed her family, including her blind husband. If the government remains partially closed in the coming weeks, food pantries like Feeding South Florida will have to rely on donations.